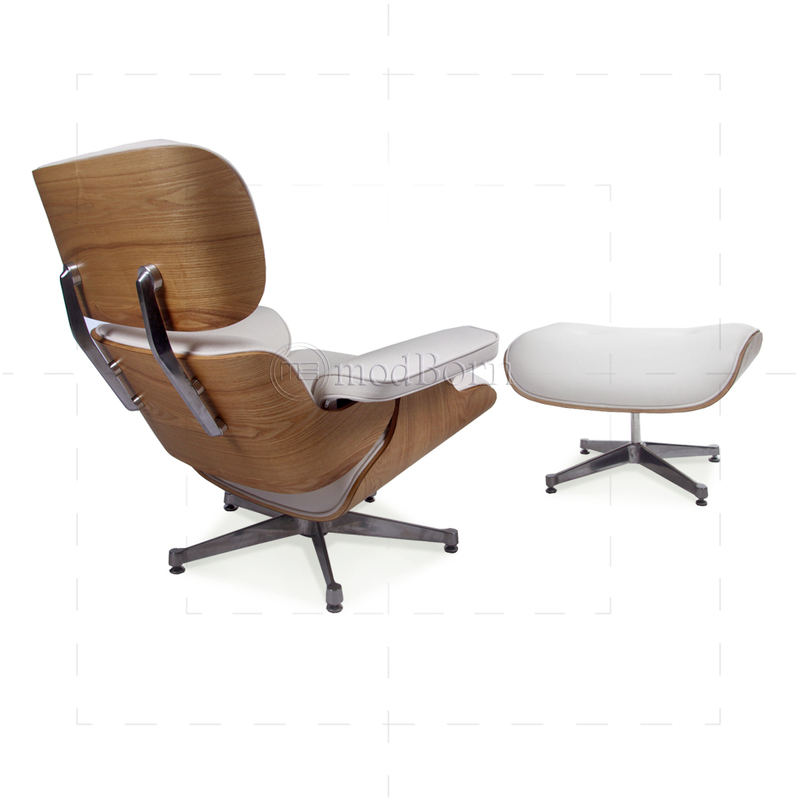 This eames style lounge chair is arguably one of the most recognisable pieces of modern furniture worldwide. 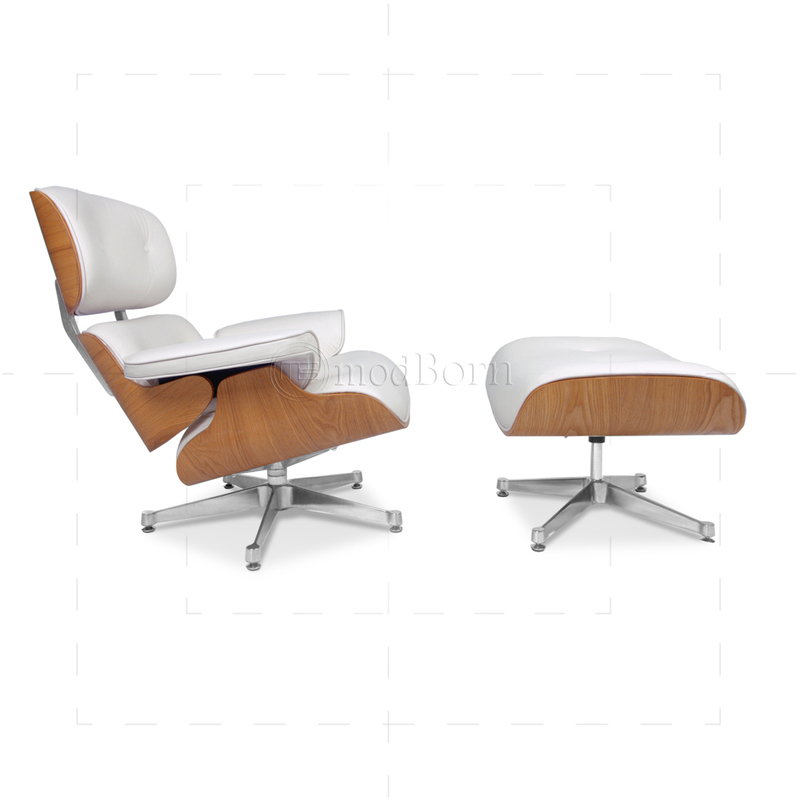 Eames lounge chair and Ottoman reproduction is a perfect choice for comfort and leisure,and is one of the remarkable design of modern furniture. We bring you the same essence in our design as in the original one . 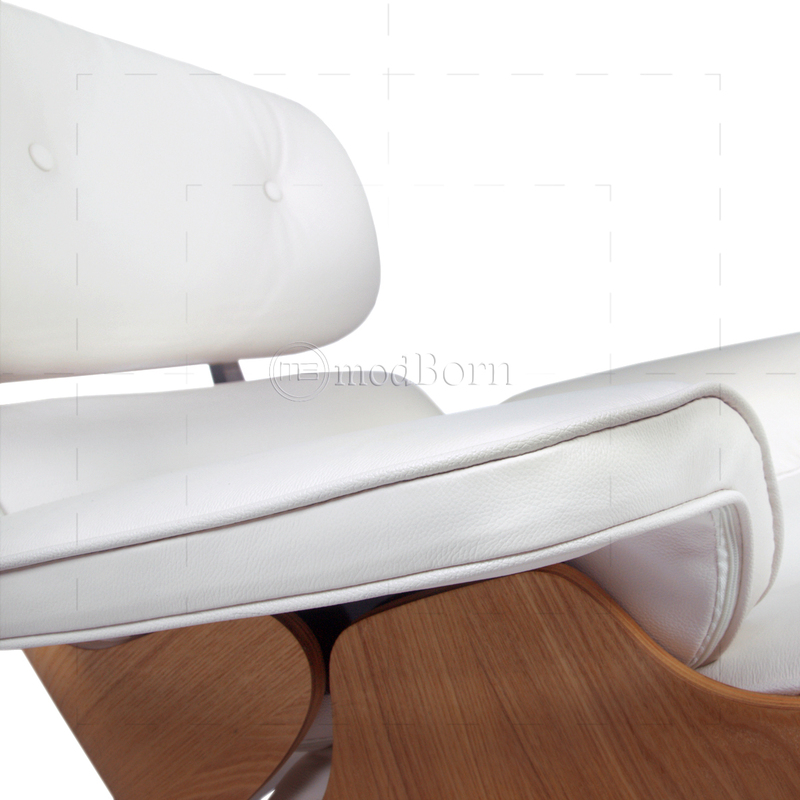 The white color of this lounge chair makes it exclusive for any surroundings. 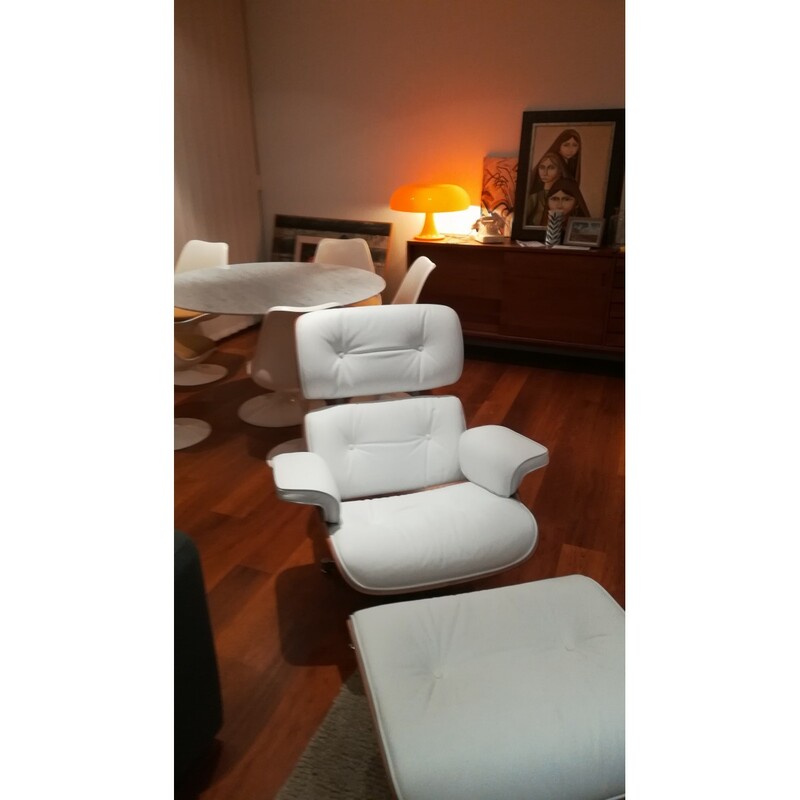 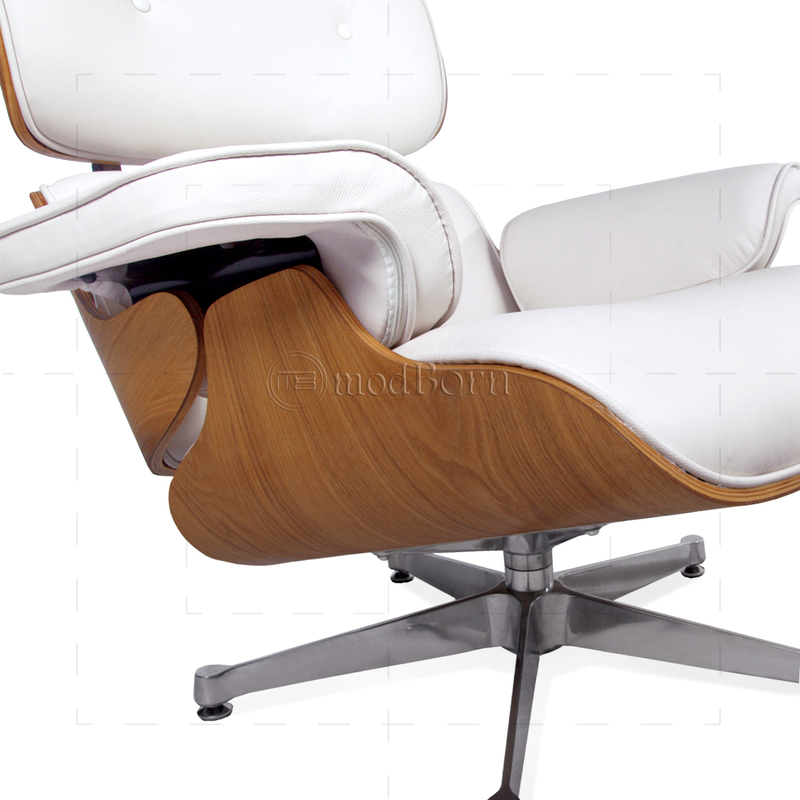 We focused first on usability of our designs.In addition to the style, the Eames Lounge Chair and Ottoman is very comfortable,a combination not always found in high design.The eames lounge chair white has become iconic with modern style as it is made up of finest leathers and premium Molded walnut Plywood. 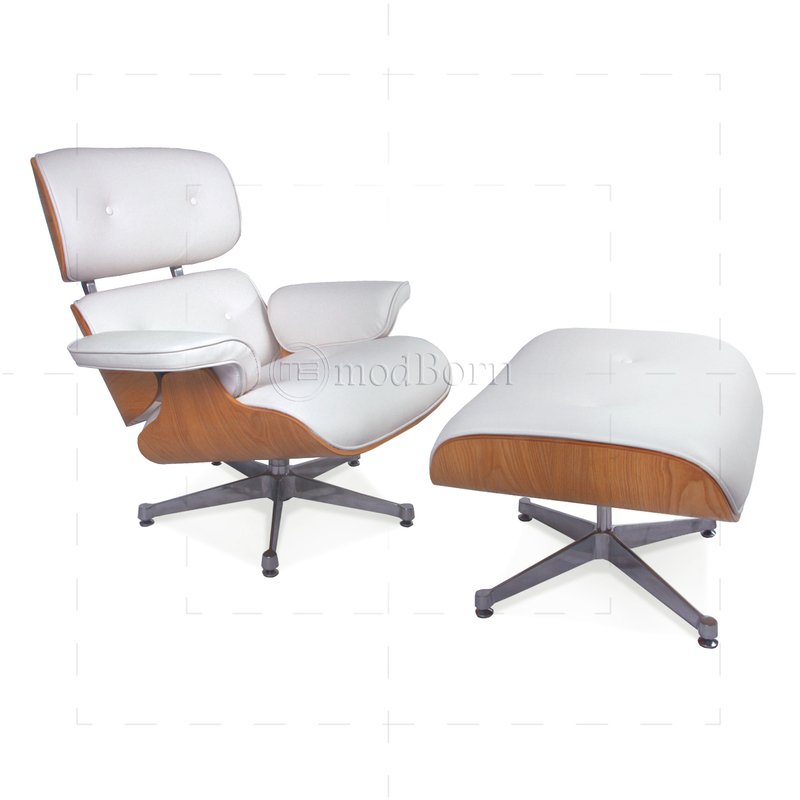 NOTE: Bigger version with more backrest height is also available please contact sales@modborn.com for details. 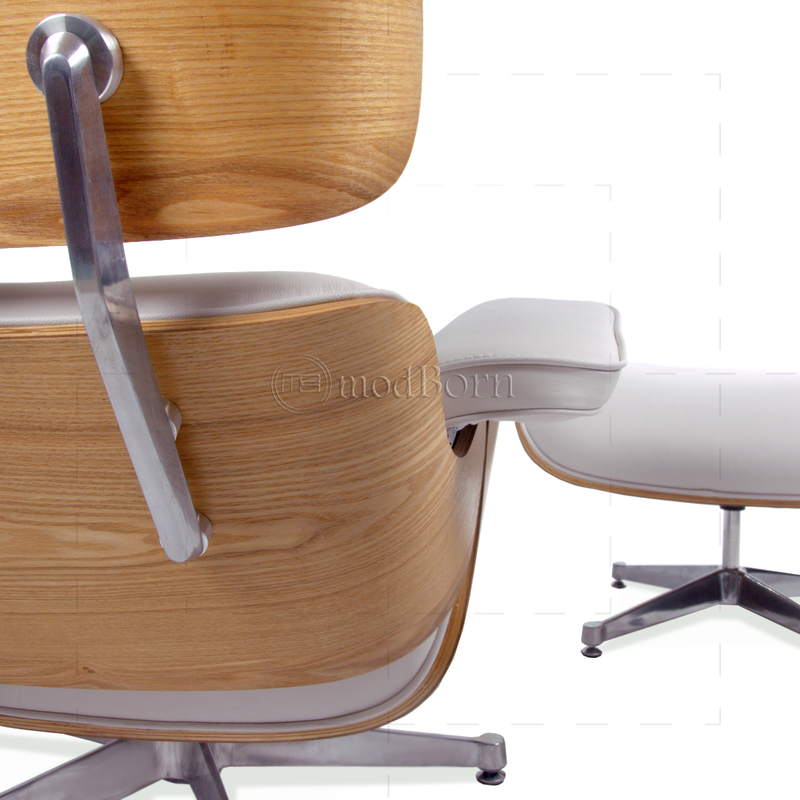 Dimensions Chair (W:82, D:82, H:90*)cm , Ottoman (W:63 , D:53, H:42)cm * Height is from Floor.